The main ingredients of a well-functioning event are a great venue, entertained guests and most importantly quality food and drink. But even if all of them combined together perfectly, an event cannot stand out without a bit of magic – unforgettable hostmanship. And this this is where a small group of quirky cocktail artists behind Son of a Punch Catering comes along. Need cocktails for your event? For us, cocktail has been our passion from the beginning. Slightly after our first bar we noticed that the demand for cocktails was beyond our venues and we couldn’t arrange all the events in our bars. And there for cocktail catering as a business began. 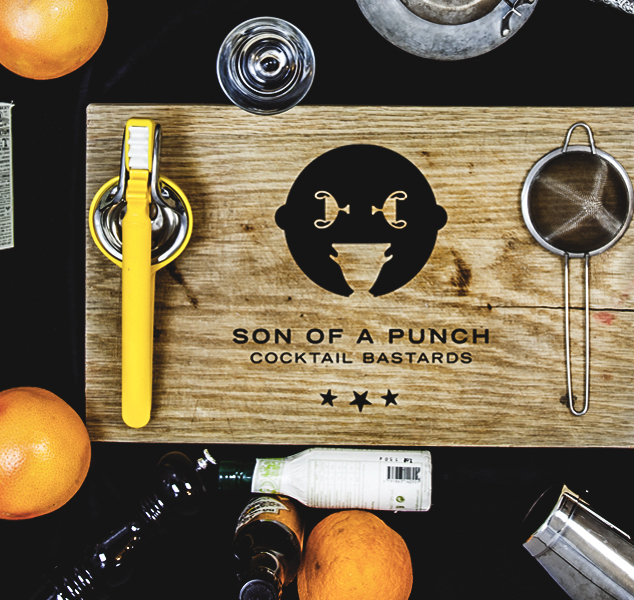 Son of a Punch Catering is not your typical catering company. It’s a gang of professionals – extreme extroverts focused on great service and being genuinely present for the customer. And we’re not just talking about a team of colleagues – we’re in this for love and passion. This is not our job; it’s our privilege, and our lifestyle. We have experience from different types of events. Be it an open festival for tens of thousands of guests or private home party we are happy to help you with the arrangements. So, just leave your request down below and we will be in touch with more detailed information and proposal. Are you ready for some cocktail bastards? We wish you to take us part of your memorable event.